Applications for the State Government’s 2017 Young Volunteer Scholarship will close on Friday 21 July. The scholarship program provides up to $3000 to eligible young South Australians aged 25 years and under who volunteer their time and talent to help others in the community. The scholarships contribute towards the cost of course fees or textbooks for university, TAFE or a registered vocational college. Scholarships are awarded in recognition of young people who volunteer their time to their community, while also participating in further education. 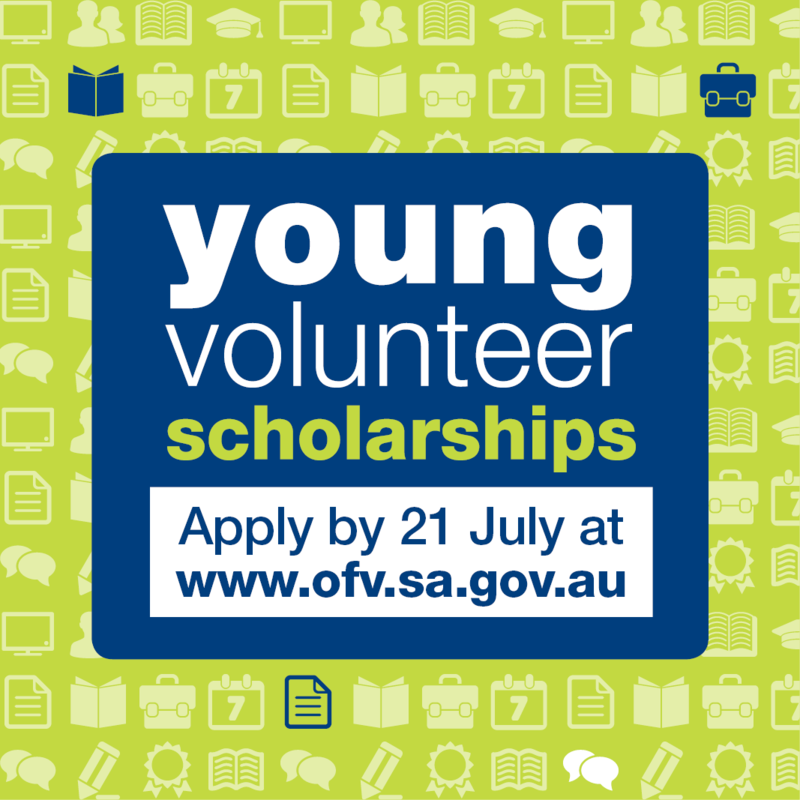 Applications are open at www.ofw.sa.gov.au/youngvolunteersscholarships until 5pm Friday, 21 July. Scholarships will be awarded in recognition of young volunteers who have a history of community participation and have demonstrated their interest in volunteering. The scholarships recognise and reward young people who continue to volunteer while undertaking further study. The practical skills learned while volunteering often complement young people’s education and career pathways. Successful recipients of past scholarships have dedicated themselves to organisations including the Country Fire Service, Australian Air Force Cade s, the Australian Refugee Association and End Homelessness SA, as well sporting and community organisations. The State Government is committed to attracting, recruiting and retaining more young people into volunteering, because they are our future volunteers.